Manufactured by Night Light, Inc., these outdoor lights create the facade of a full moon-lit night. The lights are placed in high trees, and the higher the better for a believable effect and for obscuring the lights from the unsuspecting eye. Aim for a height of 30 feet or higher to generate a natural look. Optimal for a woodsy outdoor area, moon lights provide such ample illumination that no path lighting features are required. Light Nodes, a new series introduced by U.S. Architectural Lighting, are compact luminaries that mount to the wall. These lights are ideally paired with high efficiency lamps and LEDs. Designed to endure wet, damp locations and still provide shielded illumination, Light Nodes come in a wide spectrum of colors, temperatures, and beam patterns, and can accommodate lamp sizes up to PAR20, A19, and R20. Chill Lites are LED lamps that are rechargeable, cordless and resistant to water and chlorine. They are ideal for floating atop a pool — making a dip in the water all that more inviting — or lining a pool border for a touch of elegant decor. The LED bulbs are available in glowing blue, red, white, and green, and are offered in unique shapes including: balloon, bubble, cube, and globe. Chill Lites were featured as one of the most exciting examples of outdoor lighting in an article by IntheSwim.com, which has more examples of creating a dramatic pool or patio ambiance. These Imperial II Solar Lanterns sit atop three-inch poles and add flare to your backyard, garden or patio. They come fully loaded with more than 20 LEDs, delivering 350 lumens of power to improve visibility. 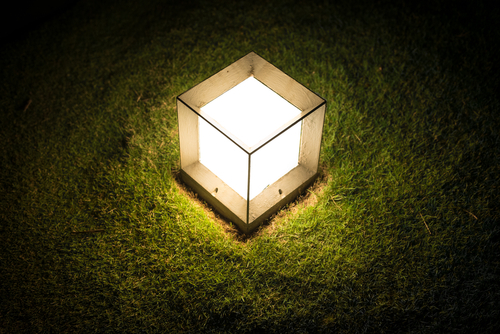 These uniquely designed lanterns boast reflector boosts to the lighting power, are composed of weather resistant, cast-aluminum, and house an 8-watt solar panel made of tempered glass that allows the lantern to run for up to 12 hours if it is fully charged. When the sun sets, the solar lanterns activate on their own, generating automatic ambiance for your outdoor enjoyment. Technology has brought our race unfathomable advances in science, medicine, communication, and yes, even simple exterior lighting. These examples of attractive and innovative lighting options with light that lasts for days, and devices that harness the power of the sun, would have been considered witchcraft in the 1800s, but today they are our modern conveniences. If Edison could see us now ... he'd see us much more clearly, and in much better light.